Robert Hu, originally from China arrived in 1995. He completed his LLB degree from Waikato University and Master Degree of Business Management from Massey University. Further completed a Program on Negotiation and Leadership from Harvard Law School. 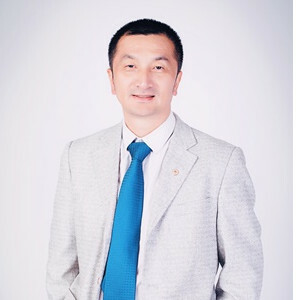 He was appointed as CEO and Chairman of the Hubei Chamber of Commerce and Chairman of NZ China Understanding Associations. He is a director lawyer of Hong Hu Lawyers and Robert Hu is and still is the first and only New Zealand Notary Public from Mainland China. In 2015 he was further granted Fellowship of the Australian and New Zealand College of Notaries in recognition of his outstanding service. He established the Australian and New Zealand Legal Research Centre at the School of Humanities and Law, Hebei University of Science and Technology (HEBUST). His service and achievements at the University resulted in an award of Guest Law Professor at the HEBUST law faculty and several other universities. As long-term legal counsel for the Consulate of the People’s Republic of China in Auckland, New Zealand, he was awarded honorary titles from Consulate-General of the People’s Republic of China, in recognition of his work for the Chinese Consulate and service to the Chinese community in New Zealand. Robert Hu has continuously promoted cultural and artistic exchange programmes between Asian and New Zealand for more than a decade. He is a most popular gentleman. His most recently publication is “Research on Modern Arbitration law” for belt and road countries. He love sports and play soccer for many years.